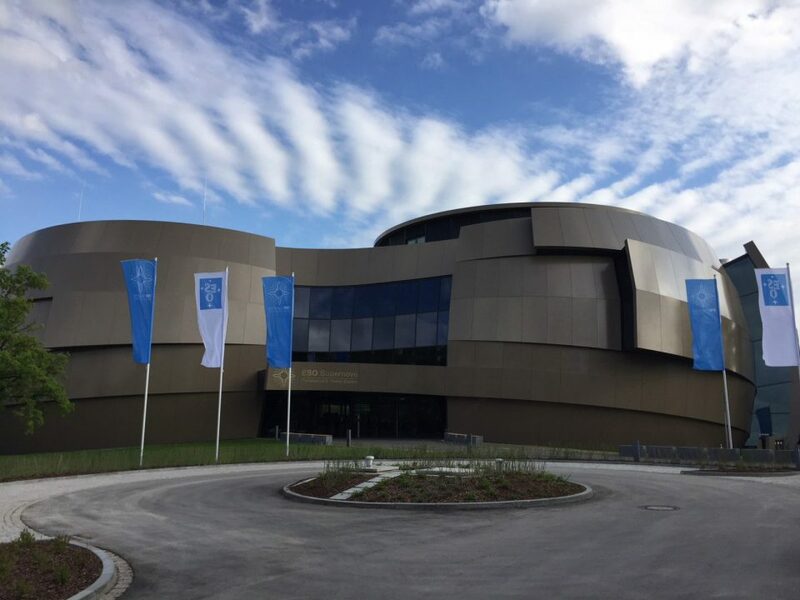 It was a real pleasure to be at the inauguration of the European Southern Observatory’s stunning new astronomy centre and planetarium near Munich. 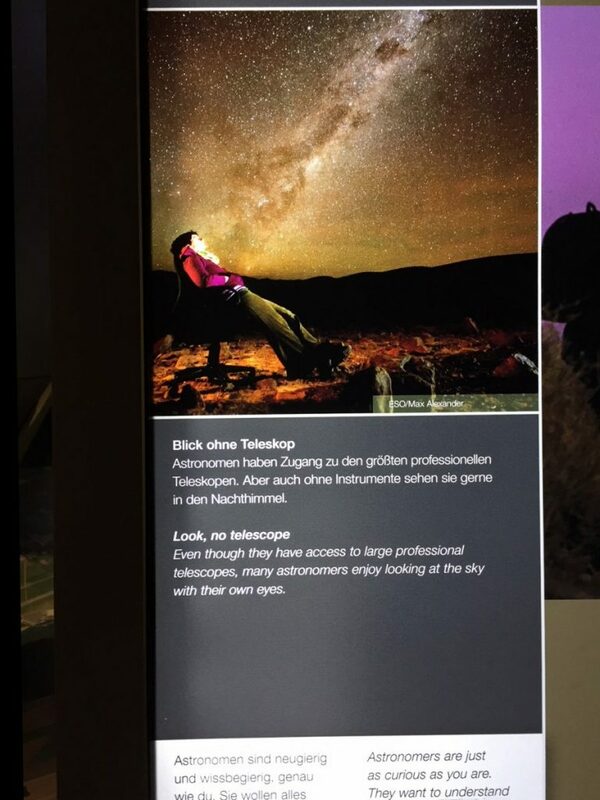 The displays feature some of my photographs of people taken for ESO at their observatories in Chile. 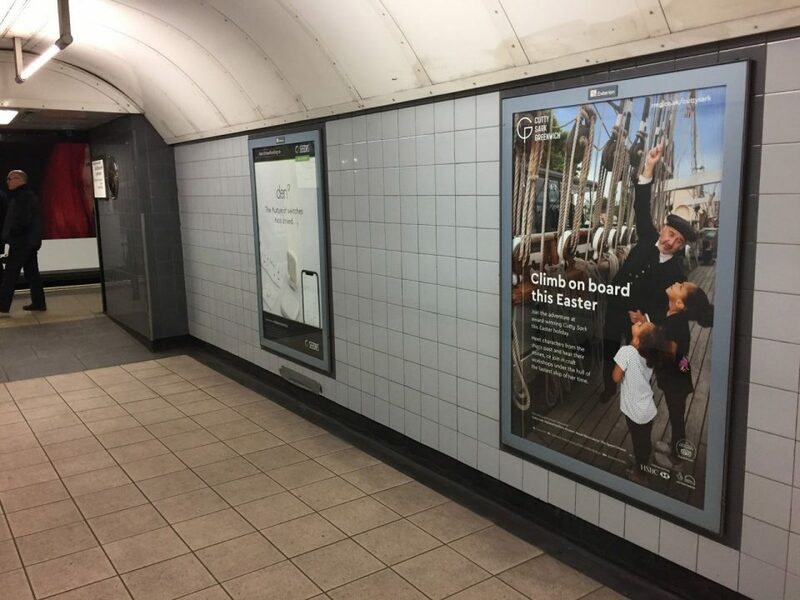 It was a nice surprise coming across my Cutty Sark photograph used by Royal Museums Greenwich for a London Underground poster. 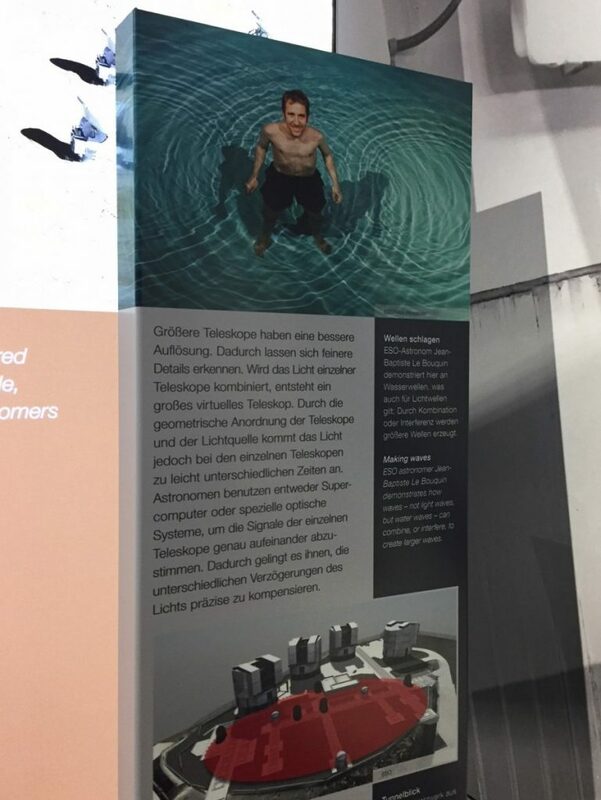 This was from a commission by their marketing department. You can visit Cutty Sark, the celebrated historic sailing ship and fastest of its time. 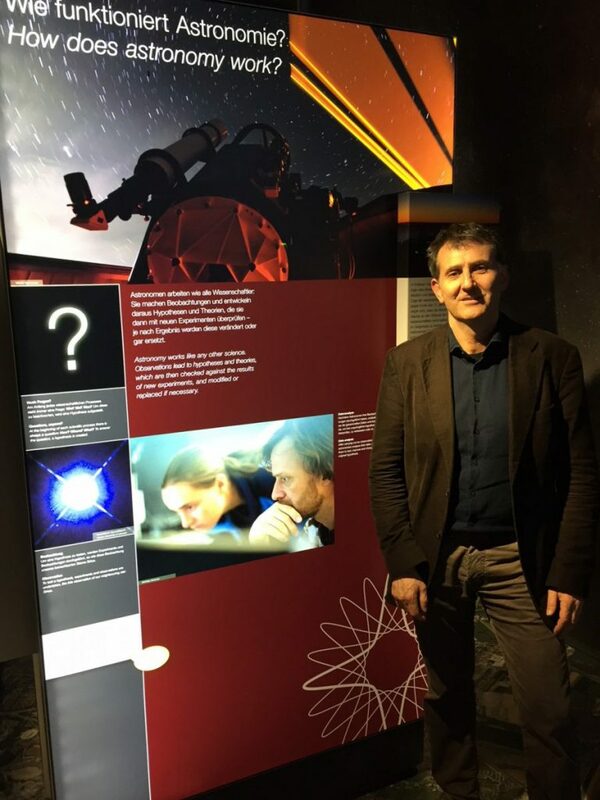 Now an award-winning visitor attraction in Greenwich, London. Today, on the 14th of March, 2018, the human race has suffered an immeasurable loss. 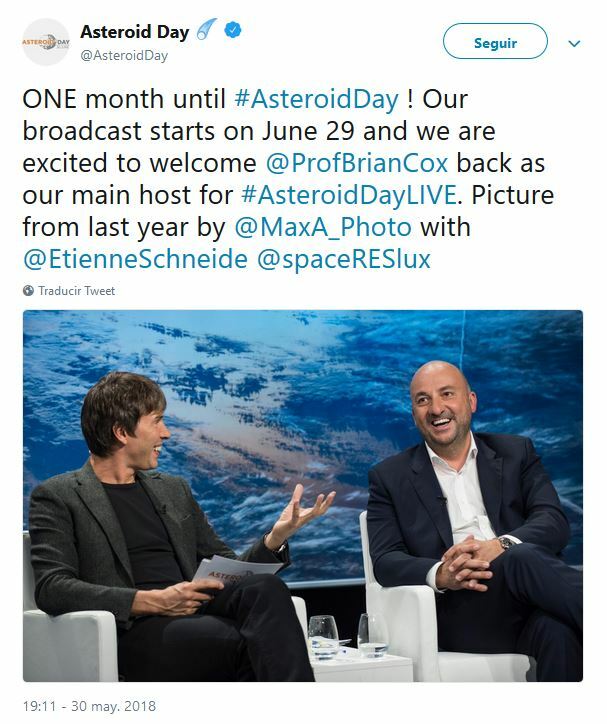 The loss of a man who was not only one of the greatest scientists of all times and one of the most influential people on the planet, but also a model and inspiration for many of us. 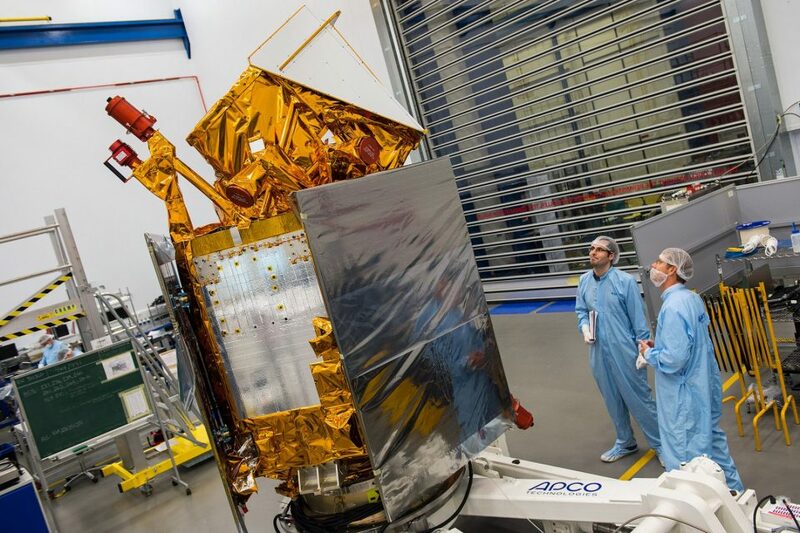 Stephen Hawking was a man of exceptional power of spirit and a model of civic stance. 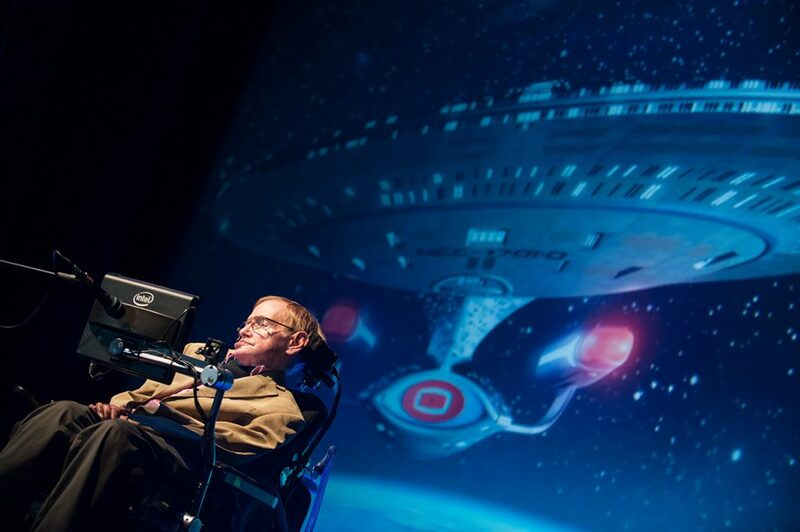 He changed the way we perceive our Universe, our time and ourselves, and did it with his unique talent of communication and gentle, Hawking-style sense of humour. 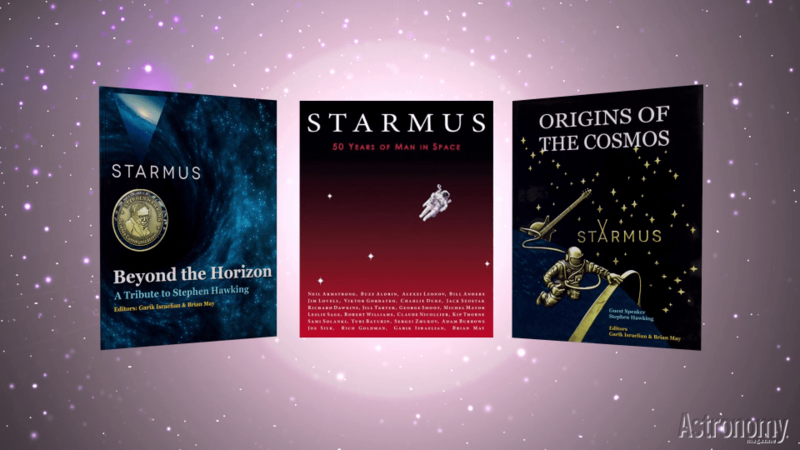 I took many of the photographs that appear in this video during my work for Starmus III in the Canary Islands, with Nobel Prize winners, scientists, astronauts and artists. I am excited to say that I will be doing another portrait series of young carers, this time in Ontario in 2018 – for Hospice Toronto and upcoming Toronto Hidden exhibition. I have been in Toronto on a pre-production trip and attending a young carers forum in Ontario. Today is Young Carers Awareness Day – January 25th and let’s get a better deal for these young people! 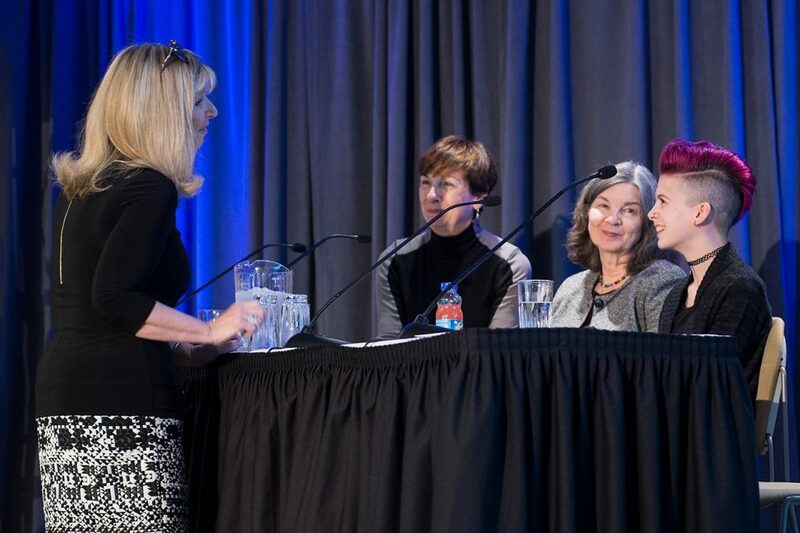 Dena Maule of Hospice Toronto, Janet Beed, Institute of Health Policy, young carer’s luminary Jenny Frank, and young carer Abigail from The Powerhouse Project. On Thursday 25 January, it is Young Carers Awareness Day 2018. This is a special day to raise awareness of the work that young carers do. 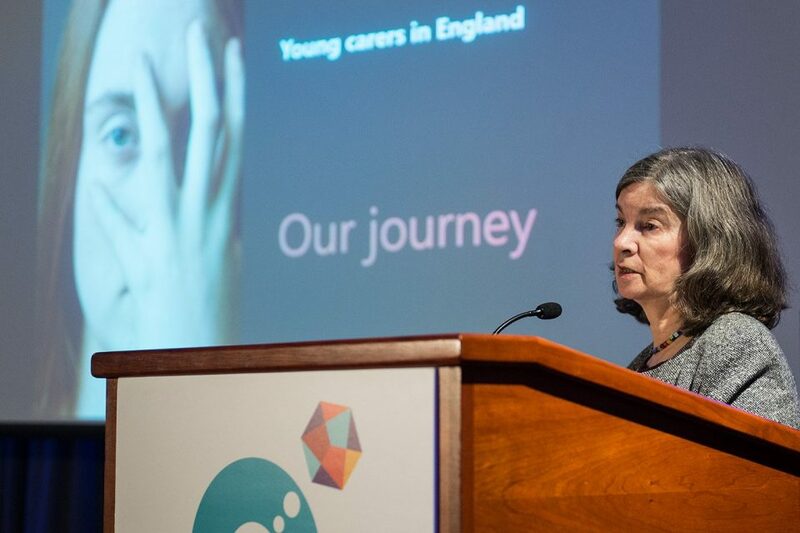 A young carer is someone who has to look after parents or siblings who can’t always care for themselves because of illness. Hundreds of thousands of children in the UK are considered to be young carers. 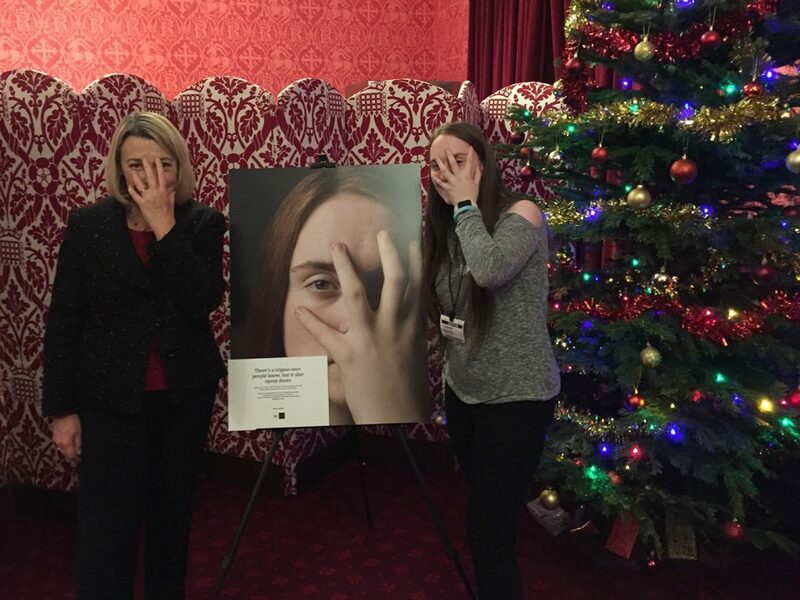 It’s fantastic to have a selection of our Children’s Society Hidden Young Carers at The House of Lords supporting the powerful Who Cares theatre production for The Lowry. A great way to finish the three year national tour – here (featured photo) with MP Barbara Keeley and Kerry, who is featured in the exhibition. Who Cares embarks on a five-week, 27-venue national tour – culminating in a performance at The House of Lords in Westminster from 30 October- 5 December. Who Cares is a gripping verbatim theatre production based on a year of interviews that offers a rare insight into a year in the lives of three young carers from Salford. The play aims to help identify ‘hidden’ young carers in society and signpost them to support available through local young carers services. Who Cares, was written by Matt Woodhead and co-produced by The Lowry and LUNG Theatre, who are Associate Artists at the Salford-based venue. It was made in partnership with The Gaddum Centre’s Salford Carers Service. The 27 youth settings across the country are non-traditional theatre spaces – these venues have been chosen in partnership with Onside Youth Zones – a national youth centre charity, Aldridge Education – the academy schools chain founded by Sir Rod Aldridge and local Young Carers Services across the country. 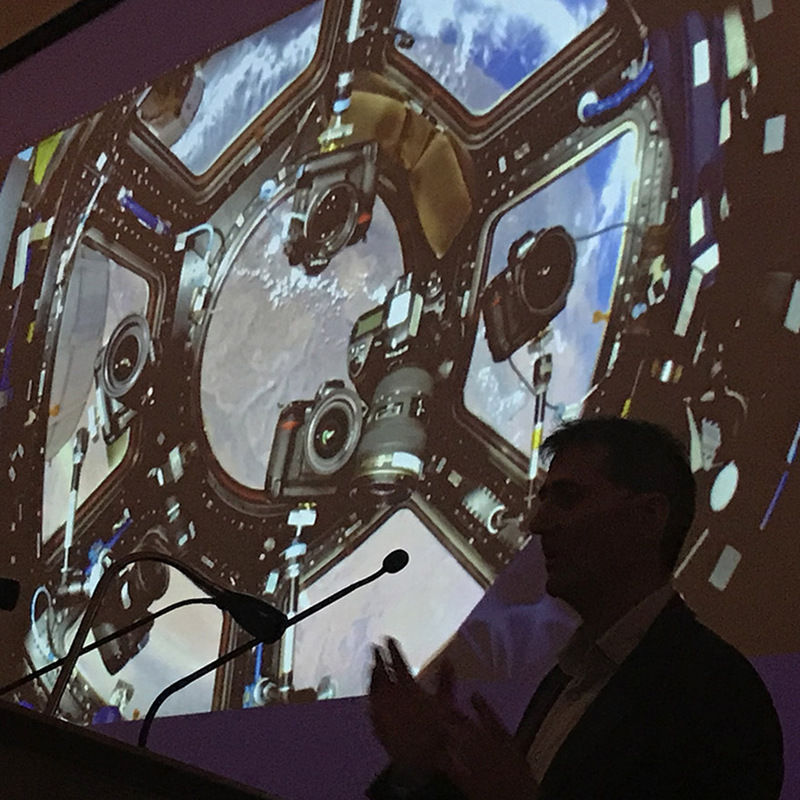 Today I was privileged to give a talk at the Royal Astronomical Society on The View From Space – about the photography training I gave astronaut Tim Peake when he was onboard the International Space Station, including what it was like sending and receiving emails from space. 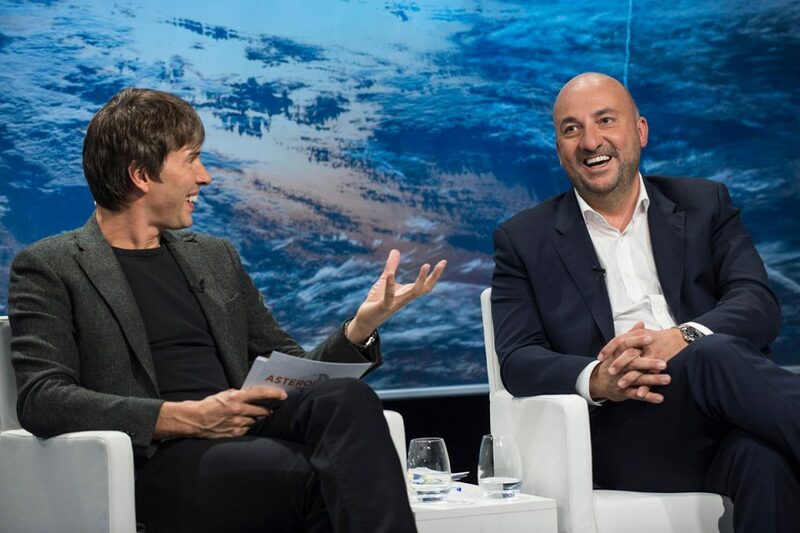 I also talked about photographing Tim when he was training in Star City Moscow, at the European Astronaut Centre in Germany, and on his visits to London – including to Downing Street and with the Michelin star chef, Heston Blumenthal. 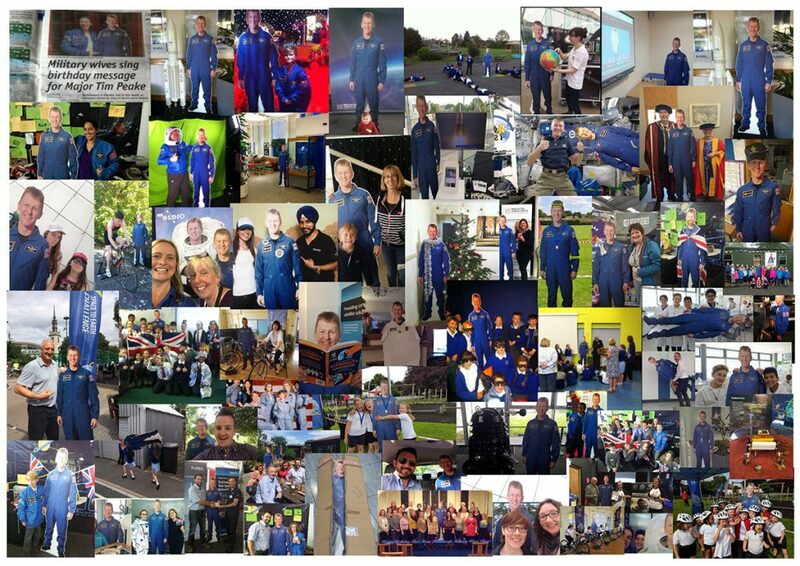 I also showed images from the @Flightsuit_Tim twitter feed ‏- featuring my photograph of Flat Tim! 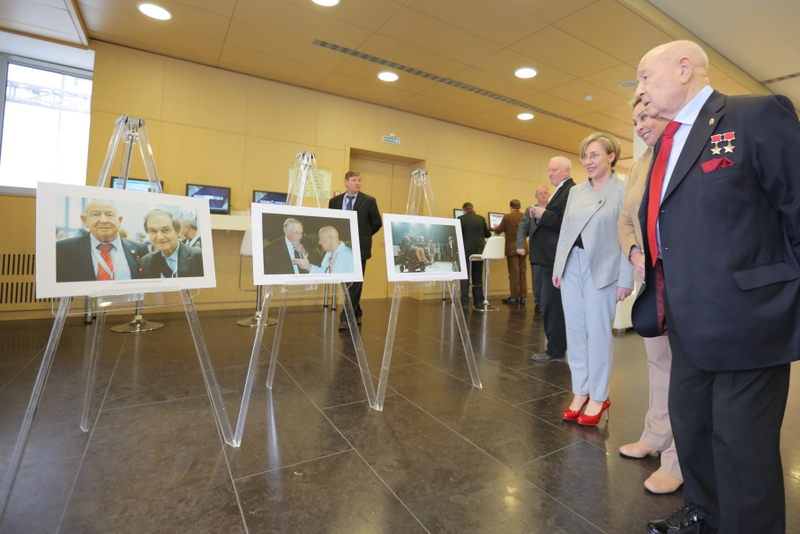 My photographs of Cosmonaut, Alexei Leonov are being exhibited in Moscow for Starmus. 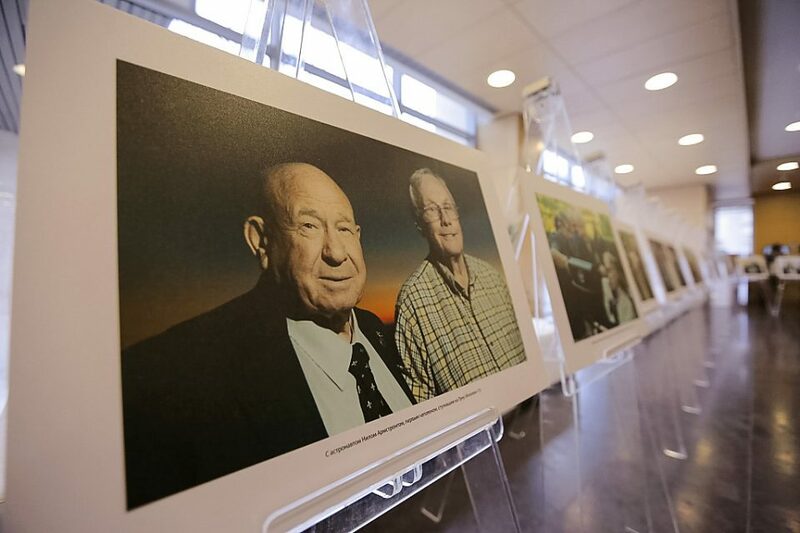 This includes photographs of Leonov with Neil Armstrong – so the first man to walk on the Moon with the first man to walk in space. Leonov and Armstrong, space pioneers. Soviet-Russian cosmonaut Alexei Leonov (born 1934), with US astronaut Neil Armstrong (1930-2012), first person to walk on the Moon. Leonov performed the first spacewalk (extravehicular activity, EVA) during the Voskhod 2 mission of 18 March 1965. From 1976 to 1982, he supervised cosmonaut training. Armstrong commanded the Apollo 11 mission, walking on the lunar surface with Buzz Aldrin on 21 July 1969. He retired from NASA in 1971, teaching as a professor of aerospace engineering until 1979. Related interesting article: Alexei Leonov, the first man to walk in space. The Guardian. “Fifty years ago, Alexei Leonov opened the airlock of his tiny space capsule, which was orbiting the Earth, and stepped into the void. For 12 minutes the Soviet cosmonaut floated above our planet, tethered to his ship by a 16ft cable. In doing so, Leonov became the first person to walk in space”.